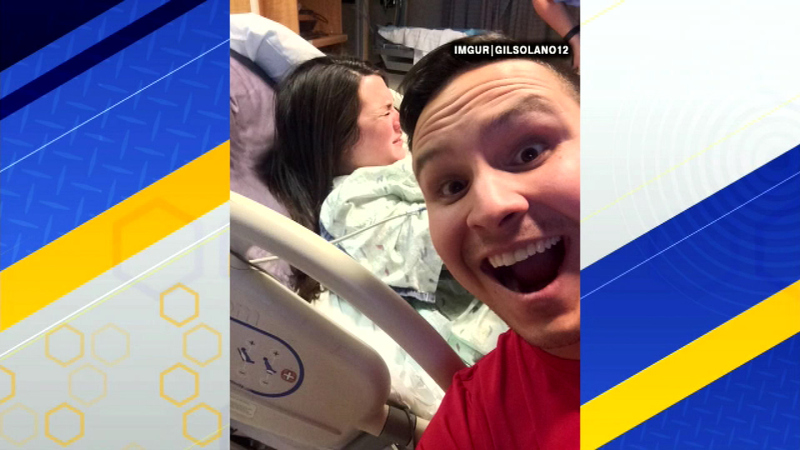 A new father snapped a selfie in a hospital delivery room - and yes, that's his wife behind him in labor. Gil Solano told ABC's Good Morning America that in awkward situations, he always tries to make his wife laugh, and he thought a selfie would do just that. His wife said she wanted a picture in the delivery room, but was thinking they would take it after the baby was born.